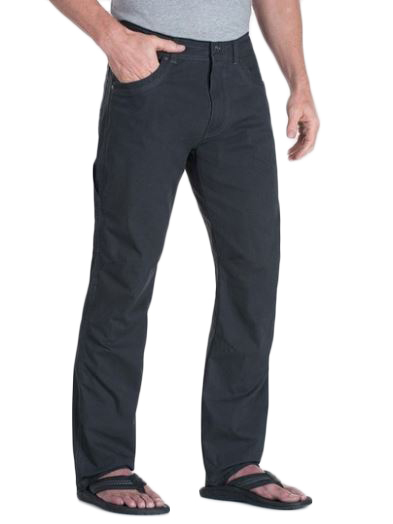 The KUHL REVOLVR PANT is cut from our new, lightweight UberKuhl STRETCH fabric. By blending a touch of spandex into our midweight cotton/nylon canvas weave, UberKuhl STRETCH combines the lightweight comfort and breathability of cotton, the added durability of nylon, and the flexibility of spandex. KUHL Free Ryde waist, articulated knee, and gusseted crotch allow true freedom of movement. Sit easy and worry free with your wallet and phone secured in 3D and drop-in stealth pockets so comfortable you'll forget they're there. Easy care, wash and wear.